Kilns, what could possibly go wrong? We end spring with a very warm day of 39oC. This is the start of Summer. Not as hot a it was last week at 42oC, but still hot enough for the beginning of the season. The vegetable garden needs to be watered twice a day at times like this, if we want all the small seedlings to survive and thrive. 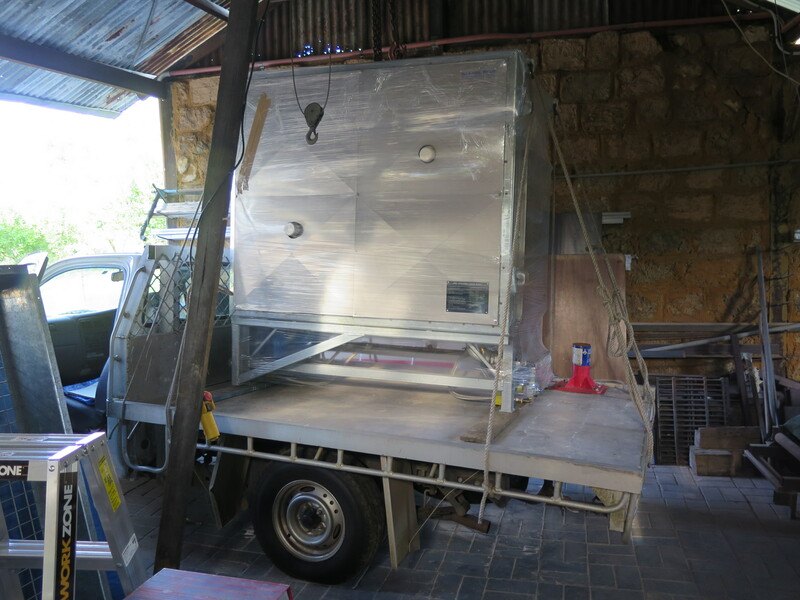 I have finished the big new gas kiln commissioned for the pottery at Sturt Workshops in Mittagong. 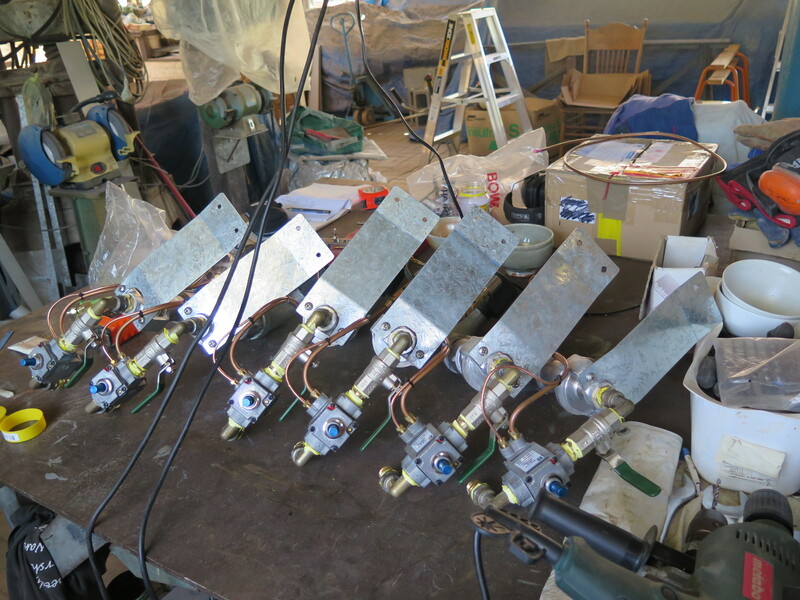 I spent the last week making the burners and gas manifold, pressure testing and test firing. Then I had to disassemble some of it to get the height down, so that it would fit into its new home under the low wall beam access. Once it was shrink wrapped and onto my truck, I drove it up to the main drive way to meet up with Dave the truck driver. Mr. ‘Lift and Shift’, with the giant ‘palfinger’ crane. 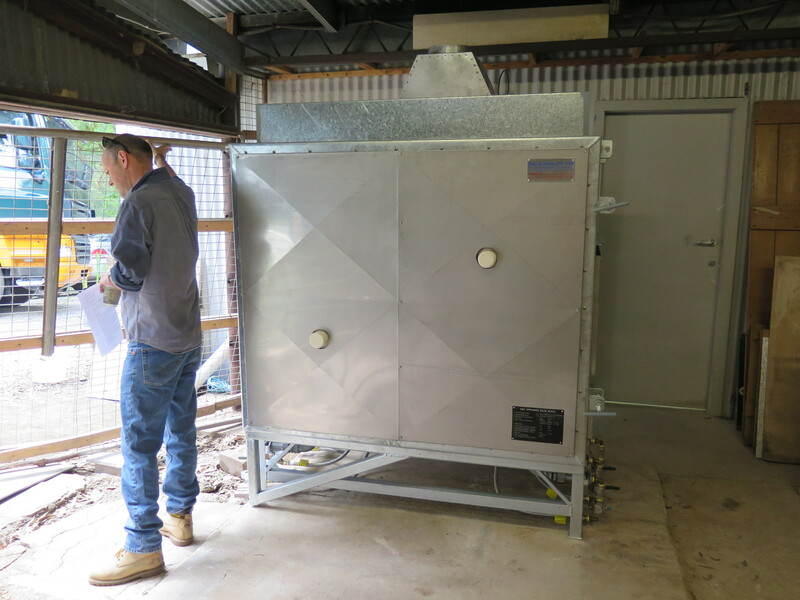 This amazing piece of technology can lift a kiln, or anything else, weighing up to 1 1/2 tonnes from a distance of up to 15 metres away! All goes to plan. I am always relieved when things go right. They always should, I measure twice and do a lot of prep, but in anything that involves 1,000kgs, slings, chains, shackles and welded brackets, there is always the possibility for unseen eventualities. Generally speaking, it always goes to plan, but that doesn’t stop me from being concerned, and taking every precaution to make sure that everything is right. There have been times when other forces have intervened and made the job a lot more difficult. 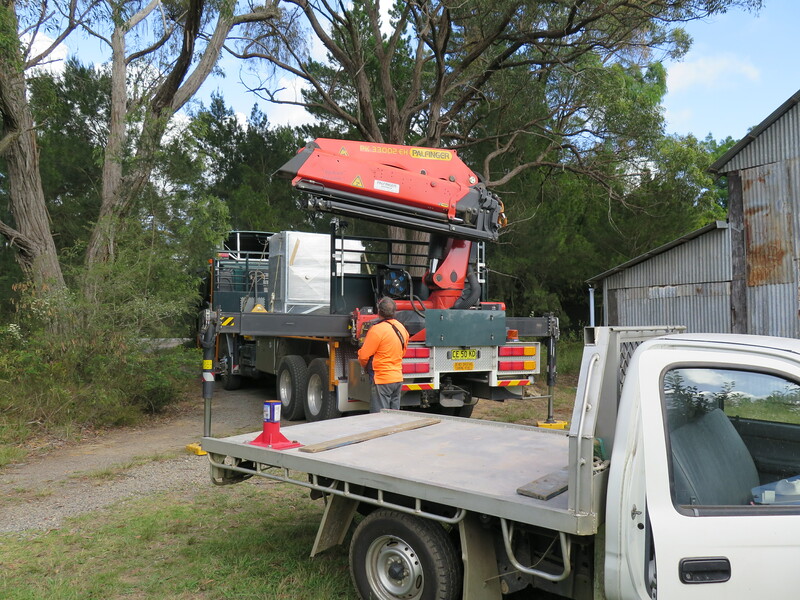 See; Delivering a kiln, What could possibly go wrong? We travel down to Mittagong without a hitch. Slowly and carefully, avoiding the pot holes and bumps, so that the kiln doesn’t get too shaken about. Dave skilfully manoeuvres the kiln into the exact position to fit on to the pallet lifter inside the building. It rolls into position without any problems. Nothing goes wrong! It’s perfect, just the way it was planned. I take off the wrapping and look inside. It’s beautiful. It has travelled well, but there is just a small glitch. In transport, the bouncing and shaking on the truck has caused the brickwork to settle just a fraction of an inch, and now the arch has settled down a millimetre or two and just touches the door seal. I sand it down along a section of 50 mm x 1 mm. It’s perfect! If this this kiln turns out like all the other that i have built for potters, Art Schools and other institutions. It will last for 20 years or so without any major maintenance. Cleaning the burners of spiders webs or dead insects, occasionally there are mud wasps that build their clay nest in there over the summer break. All small but annoying things that need minor attention. 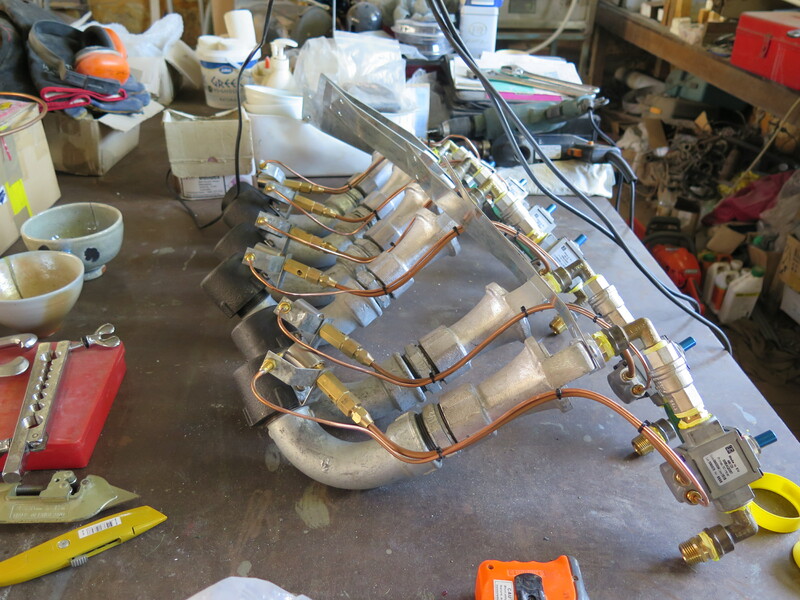 I once had a potter come to me with her burners that she had purchased from me for her own home made kiln. She told me.”These burners don’t work anymore. Not like they used too”. I told her to bring them to me and I would have a look at them. There is usually only one thing that can go wrong. The flame safety sensor gets pushed too far into the flame and gets damaged, then stops working all together, cutting off the supply of gas. 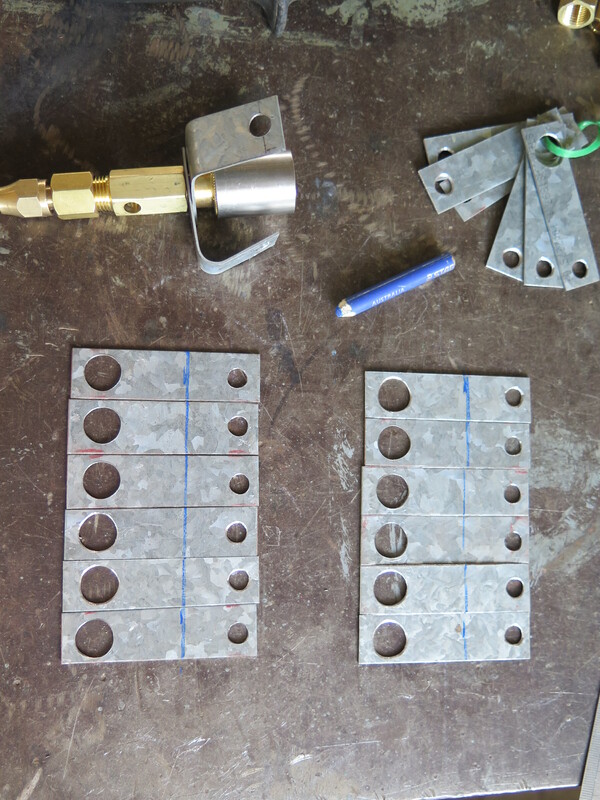 I countered this by making a substantial Stainless steel bracket to hold the sensor firmly in place. However, this was not the problem on this occasion, as the gas was still working, but only just apparently. 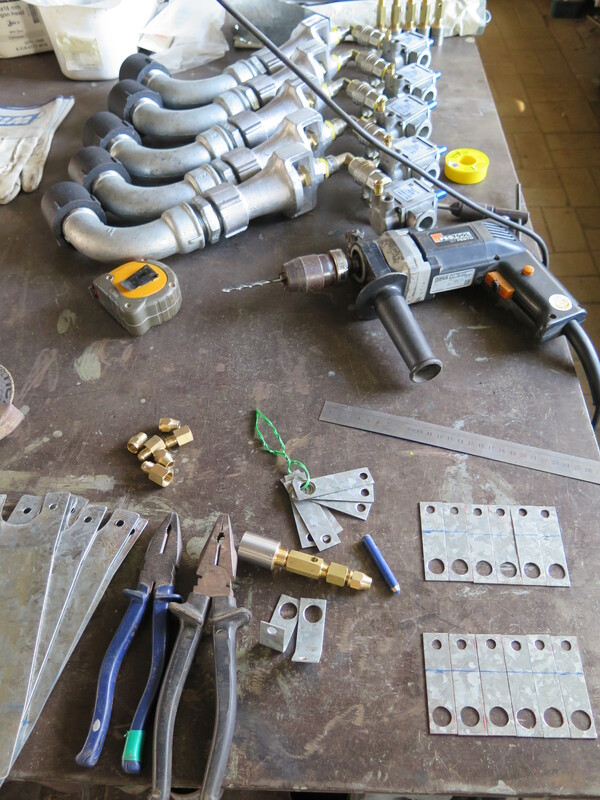 When the burners arrived, I shook then upside down and lots of things came tumbling out, pieces of blown-up pots, wadding, some fresh and dry, others hard and fired, a bottle cap, even a 100 mm. ( 4″) length of snapped off ceramic pyrometer tube! I would have thought that when that broke off, for whatever reason. I would hear it break and go looking for where it landed. If it wasn’t on the floor of the kiln. I’d go looking elsewhere. I’m amazed that it could have gone straight down a burner flame nozzle and disappeared! Anyway, no matter! No wonder they weren’t producing a clear flame anymore. Simply fixed. It’s amazing what pushing a bottle scrubbing brush down a burner can achieve! Kilns. What could possibly go wrong? This entry was posted in In the garden, kilns, Uncategorized by hotnsticky. Bookmark the permalink.